Kitchen remodeling projects are a great way to upgrade your living space and potentially increase the value of your home. As with any home improvement venture, there may be stress related to costs, dust and debris, strangers being in your home, disruption of your normal routine and unforeseen complications. Here are four tips to help make this time go a little more smoothly for you. While spontaneity is fun in some areas of life, when it comes to kitchen remodeling it’s better to have a plan. The plan should outline the new design, materials needed, labor required, timeline and budget. The kitchen is an important part of the home. Eating take-out for the entire project duration may sound great in theory, but in reality, you will need to maintain access to your kitchen to feed yourself and your family. Consider ways to minimize this interruption. You could schedule the work for times when most of the family is out of the house, or you could plan to do the kitchen remodeling in phases, so the room is never totally out of commission. It’s good to build in milestones in any project plan. This can help you measure progress, so it doesn’t feel like the work is lasting forever, and gives you a chance to check in with contractors along the way. Anything from removing old cabinets to installing a new oven to redoing the floor can count as a milestone. 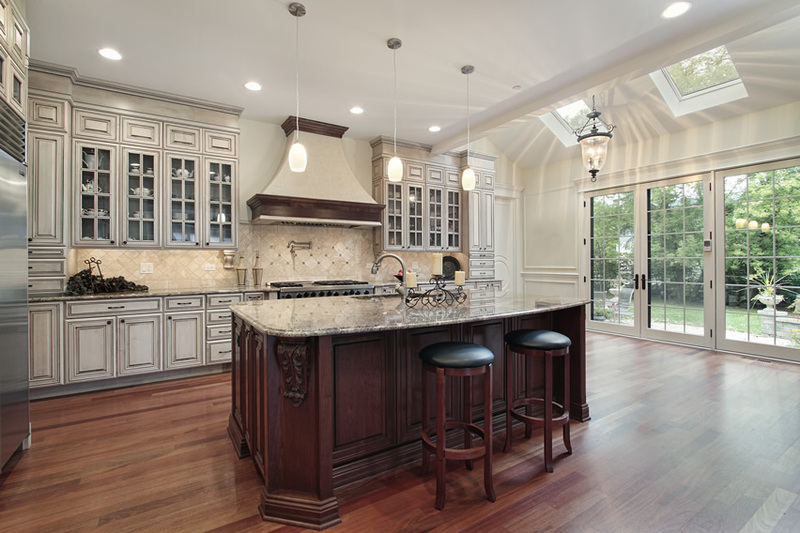 Every kitchen remodeling project is likely to have a surprise or two. When this happens, remember to focus on what you can control. Work with your contractor to make decisions about any necessary modifications to the project plan or additional materials needed. Kitchen remodeling can be stressful, but these simple tips can help you get through this period and enjoy your new kitchen.